Amanda's Parties To Go: Hot Cocoa Cookies! 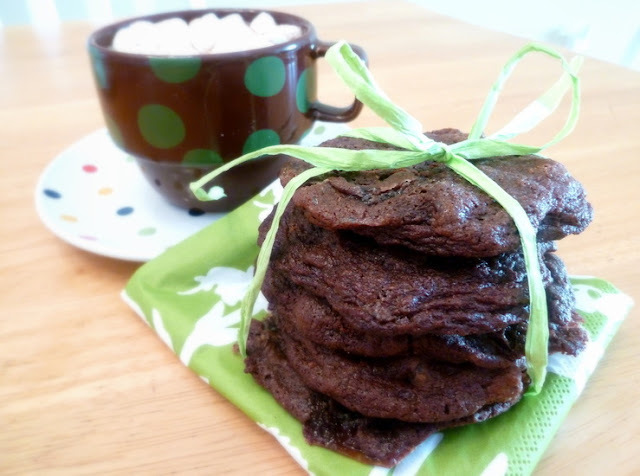 I can't wait to make these amazing looking Hot Cocoa Cookies from Pip and Debby. Don't they look incredible? 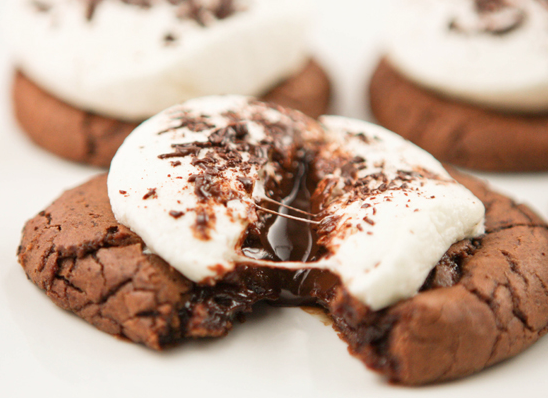 Ooey, chewy, hot and gooey! 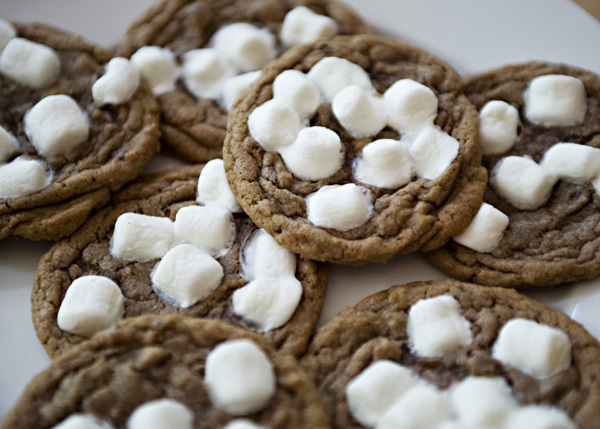 That's my kind of cookie! 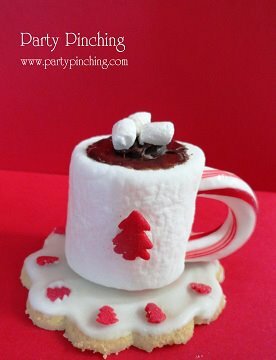 I've been a little obsessed with thinking about hot cocoa and cookies since I saw this absolutely adorable little marshmallow cookie treat by Party Pinching on Facebook yesterday. Can you believe how creative this is! 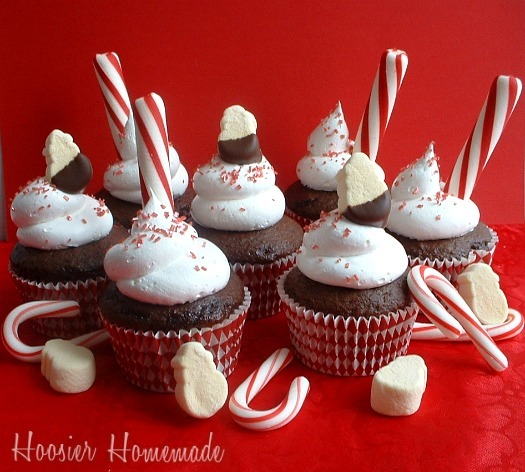 A store bought cookie, some icing, a marshmallow, melted chocolate, a few mini marshmallows from an instant hot cocoa pack and a sweet little candy cane handle. 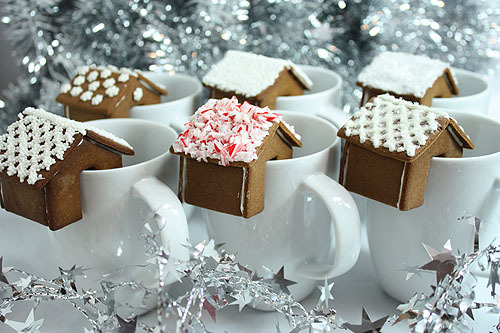 So yes, ever since seeing this adorable little creation, I couldn't get hot cocoa and cookies off the brain. 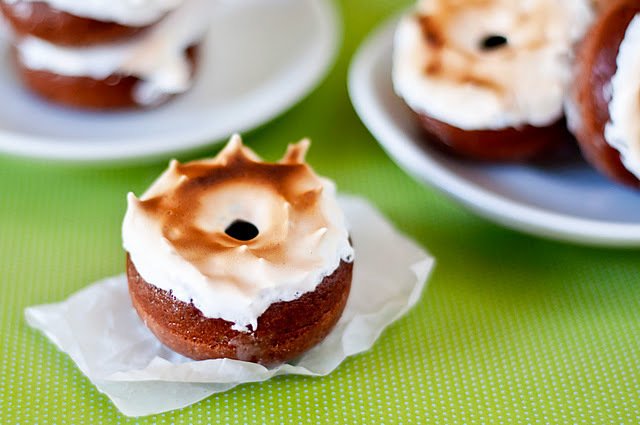 Seriously, I woke up this morning and it was the first thing I thought about so I got to work finding some great recipes and thought I'd share a few of my favorites. 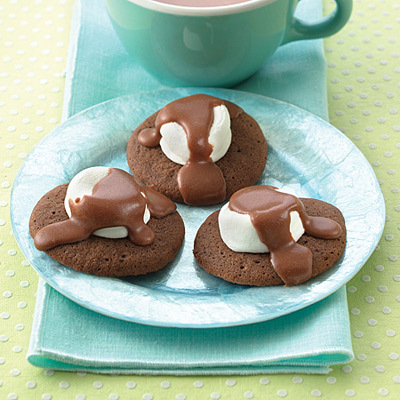 Just click on the link below each photo to find the recipe. 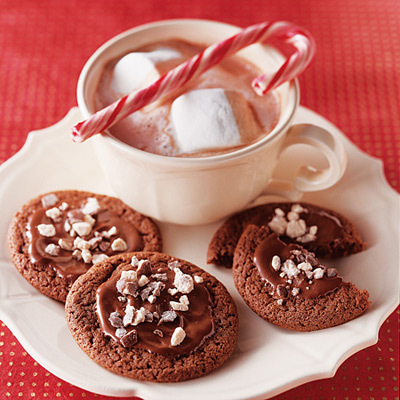 Ok, back to reality.... Thanksgiving is here..... no time to waste on dreaming of cookies and cocoa. I'll have to put these little recipes off for a few more days, but I hope you're getting those birds ready -- It's almost turkey time! What cute ideas. Love them all. And I think I will be gleaning a lot of recipes for my Christmas baking. Thanks for sharing my cupcakes!